How to style link how fonts occur in InDesign? 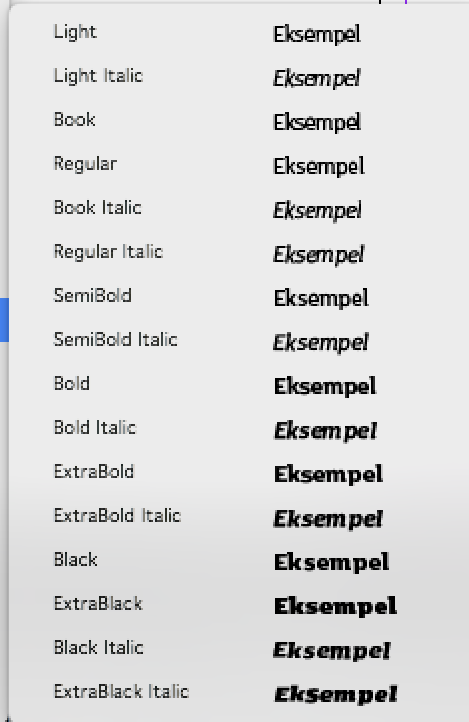 Hello: How do I change a fonts weight-number? E.g. Light 300? Thanks! There is a weightClass parameter. See the Naming tutorial for details please. You can also use intermediate numbers like 350 you know. Thanks Rainer. I’ll use the WeightClass parameter!